•However, the From: line also showed a completely random, unrelated email address that is most definitely not me. •The email was sent to my wife’s email address. •The email message had no Subject line. •The email message consisted of only a link. I’ve been getting lots of reports of this particular scenario lately. I’ll describe what I did next and what this appears to be. And perhaps reassure you a little about what it is not. My wife, bless her heart, realized what had happened immediately. She indicated it was some kind of “get rich quick” thing. She immediately did the right thing: she closed the browser, instant messaged me about what had happened, and stopped using the computer. As soon as I had a chance, I connected remotely using TeamViewer and began a series of scans. • I downloaded and installed Malwarebytes Anti-malware. • I updated the Malwarebytes database, even though I installed immediately after downloading. There was indeed already an updated database. • I ran a “quick” scan, which turned up nothing. • I ran a lengthier “full” scan, which turned up nothing. • I ran Microsoft Security Essentials, which was the anti-virus and anti-spyware tool already installed and protecting her system, and ran a lengthy full scan with it as well, which also turned up nothing. With all the scans turning up nothing, I decided that we’d probably dodged a bullet and told my wife to resume using her machine, but to keep an eye out for any odd behavior. Yes, absolutely, there could still be malware that resulted from this. But with scans showing nothing, I felt it safe enough to play the odds. If I’m wrong … well, you’ll hear about that too. 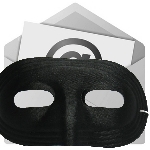 leo notenboom email spoofing. permalink. When you do an internet search on someone you can also get possible related people. They can use people living at the same adress. If I do a search on my name some search engines will give a return on my wife at the same adress.